May 17th-19th. This is our very first retreat and an AMAZING deal for the price. 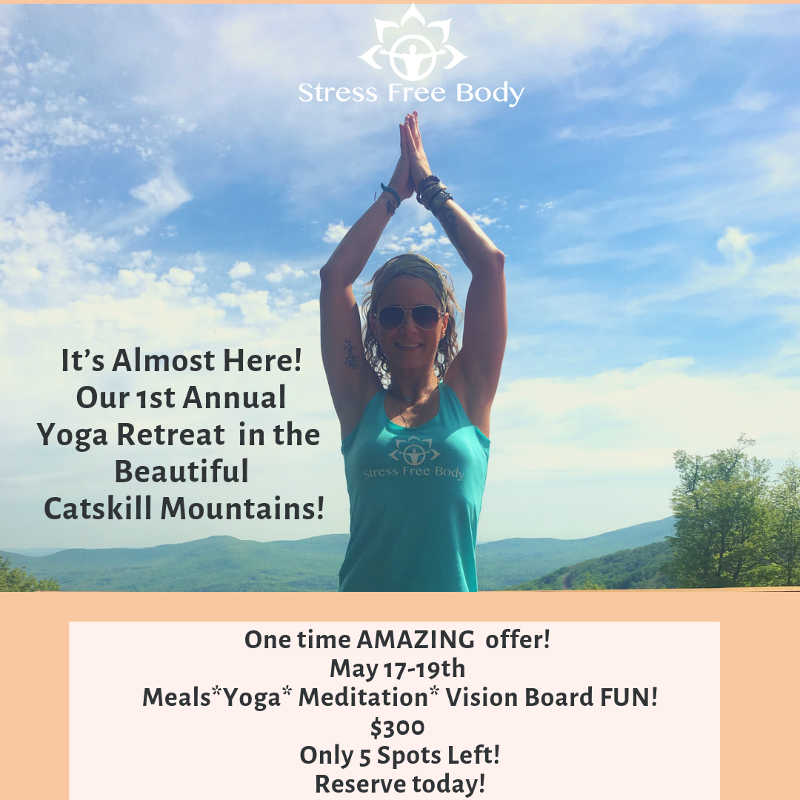 2 Nights, 4 meals (a Friday night dinner, Saturday breakfast Sat dinner, Sunday brunch... 4 yoga classes 4 meditation includes 1 walking mindful hike meditation. Vision board supplies, BYOB, guests are also welcome to bring their own pre-packed lunches/snacks etc and leave in the fridge marked with your name. We are offering an exclusive $250 early bird special to you, good till end of March! We only have 10 spots available to offer. Down time to explore, fill or just be still! 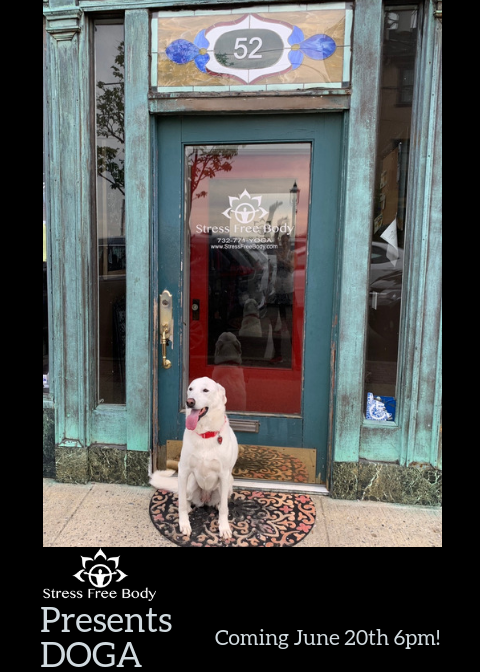 We’re Also just a 20/30 minute BEAUTIFUL drive up the Mountain to Hunter or Windham Mtn. 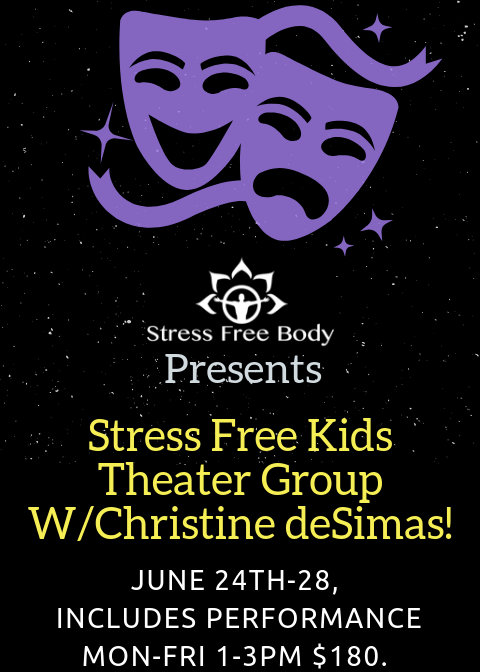 Stress Free Kids Theater Group with Christine deSimas! For kids ages 8-17 who love to act, imagine, create and be with other kids who like to do the same, this is an experience they will have forever. By using acting, improv, voice technique, character study and performance, this class will show students what they are capable of. Through introducing the basics of higher level courses like Sanford Meisner and Uta Hagen, we will give them confidence to grow. By creating an encouraging and empowering environment, these kids will walk away knowing they can do anything. 1. Write, Act, Improv, Dance and Perform in front of a LIVE audience. 2. Have the opportunity to create a show from the ground up. directing, choreography, props, costumes and show promotion). 4. Get audition experience and guidance. 5. Learn not to overthink as we will need to make quick decisions. 6. Begin to test their limits and expand what they originally thought they could do. 7. Use their bodies as expression . 8. Use their space like never before. 9. Learn about speaking so people can hear them and other voice techniques. 10. Learn to LISTEN to others on stage. 11. Learn that theater is a team sport, where it’s all hands working together. 12. Feel confident about performing in front of an audience. 13. Feel achievement performing something created by THEM. 14. Create additional leadership and learning opportunities across the different age groups. Mobility and Movement are the key to mitigating injuries, arthritis and living a healthier more accessible life. But what exactly is it? And how do we incorporate mobility training into our existing physical routine? In this workshop we will discuss the science behind the movement and mobility trend covering concepts from FRC and other lineages. You will learn how to incorporate these cutting edge concepts into your life, at class and for any level. Stop thinking you have weak joints and for that reason can’t (insert pastime favorite activity here), learn to adapt more efficiently. You’re already the most amazing machine ever made. How well are you functioning and how often are you tuning, measuring and calibrating? Upper Limbs: There will be a focus on wrist, elbow and shoulder mobility in this workshop. Lower Limb: There will be a focus on ankle, knee and hip mobility in this workshop. Even if you can't jump to the wall yet, this workshop is for you. Maybe you can get upside down on the wall and you're pretty comfortable there... but you just don't "feel' it yet. Maybe you've been holding 3-5 second handstands... but you just can't "stick" it yet. You can hold the handstand... but you desire more control for transitioning. You will learn the evolution of a handstand, where "you" are on the path and how to move forward.. Learn the first steps to balancing on your hands and how to apply basic physics to help you conquer fear. Take your hand-balancing and mid-air transitioning to the next level. Learn and refine signature arm balances found within yoga and gymnastics. We will identify common pitfalls and compensations that hinder flight or cause injury along the path to learning balance. Have all your questions answered logically in this all levels welcome workshop.